A hand-painted anamorphic installation for D&AD. 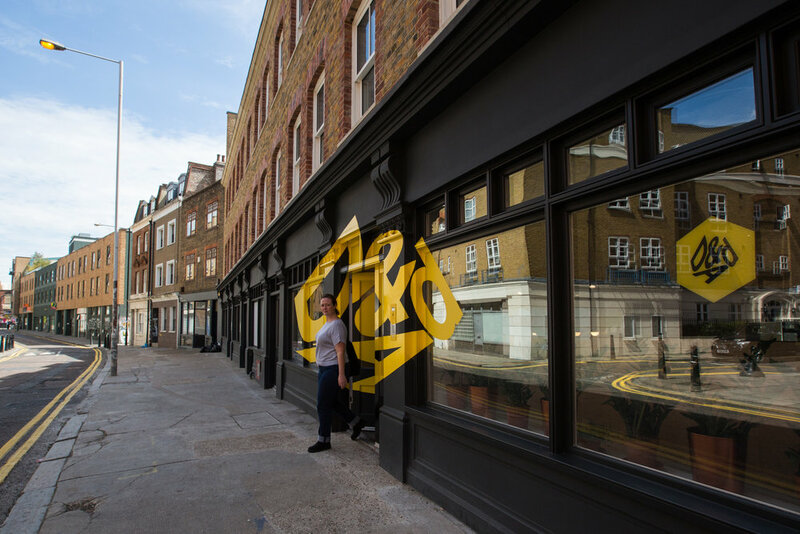 D&AD wanted to make a big impact with the entrance of their new offices, so we used a anamorphic technique to distort the logo – meaning that it's only correctly visible from one point. Visitors are greeted by the disjointed logo, to find that as they approach the main entrance doors, it magically clicks into place. We hand-painted the fragments of logo across the different surfaces and windows of the building in traditional signwriters enamel paint.